On April 1st, 2019, in the presence of the Federal Councillor Simonetta Sommaruga, the official start of the construction of this unique large-scale project took place in the centre of the city of Zurich. Lombardi, within two different engineering joint ventures, has been awarded the design services for both the civil works and the MEP (electromechanical equipment) scopes for the second tube of the Gotthard road tunnel, Switzerland. 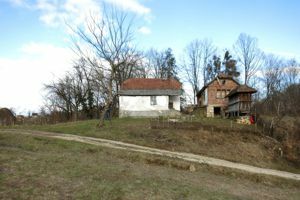 Engineers without borders Switzerland (IngOG+) is involved with the financial support of Lombardi in the realization of a residential community for single socially disadvantaged aged women in the city of Gradačac in Bosnia-Herzegovina. Engineering services for infrastructures require the best possible match of experience and innovation. The continuous ambition to optimally combine these skills has driven our company to create visionary projects based on proven engineering practice. Lomba​rdi’s development in both the Swiss and international engineering markets is based on a consolidated and lasting partnership with our clients. ​In 1955 Dr​ Giovanni Lombardi founded his consulting company for engineering services, cornerstone of the Lombardi Group. Today, our company cares for the life cycle of transport infrastructures and hydraulic works from the initial design phases to their operation. Visionary and effective projects, brought to successful completion by our teams in a strong and long lasting partnership with our clients, are the best credentials for outstanding and high quality engineering work. uncompromised quality. Lombardi’s absolute independence from contractors, suppliers and other consultants is our hallmark and will be maintained in future. All shareholders are involved in the operative management of the Group’s companies, thus ensuring maximum commitment an​d the flexibility required by today’s market conditions. 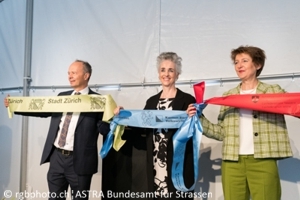 On April 1st, 2019 in the presence of the Federal Councillor Simonetta Sommaruga, the official start of the construction of this unique large-scale project took place in the centre of the city of Zurich. After the preliminary works of the noise protection enclosure of Schwamendingen were carried out in the summer of 2017 and the main works were noticeable at the beginning of March 2019, on April 1st, 2019 the official groundbreaking ceremony of the project took place. Lombardi is part of an engineering joint-venture and is involved as external overall site supervisor for all works and domains (civil works, electromechanical equipment as well as building construction and environment). November 2018: Originally, the Gotthard road tunnel was designed by Lombardi as a twin tube tunnel. 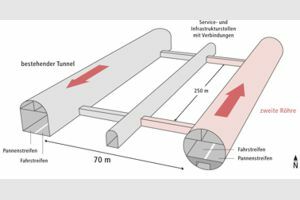 However, by former resolution of the Swiss Federal Council, only one tube with a safety tunnel has been realized. Thanks to an innovative idea for the alignment, Giovanni Lombardi could sign the contract for the planning of the first tube of the Gotthard road tunnel in April 1967, a historic moment and a milestone for Lombardi. Now, a good 50 years later, Lombardi can contribute to complete the construction project of the century. Lombardi, within two different engineering joint ventures, has been awarded the design services and the technical management for both the civil works and the MEP (electromechanical equipment) scopes for the second tube of the Gotthard road tunnel, Switzerland. 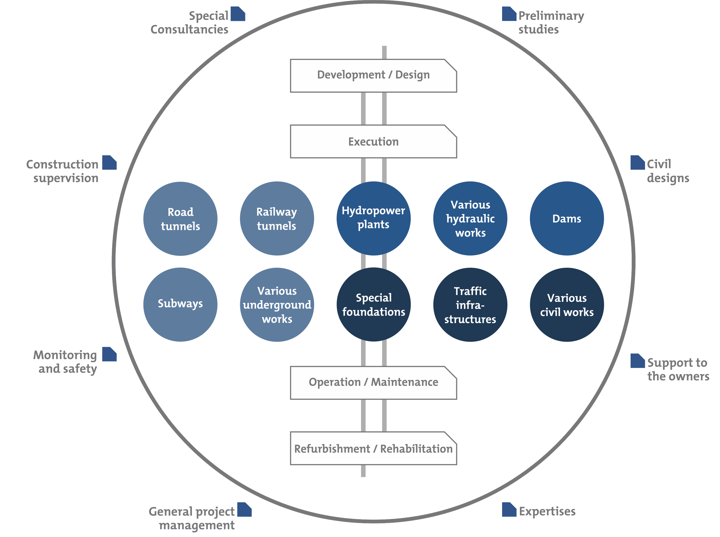 The construction assignment includes the fields tunneling/geotechnical engineering (including materials management), alignment and engineering structures, as well as the lead of the overall dossier for the phases starting from the detailed design up to and including the commissioning/closure. In the second mandate, Lombardi and its partners were commissioned the design services for MEP (power supply, lighting, ventilation, signaling, monitoring systems, communication and control technology, cable systems and auxiliary systems for the phases starting from detailed design up to and including the commissioning/closure (including the redesign of the Airolo junction). October 2018: Engineers without borders Switzerland (IngOG+) is working with Hazima Smajlovic, a refugee from Bosnia, and the local authorities to build and operate a shared residence in Gradačac, Bosnia and Herzegovina for single war victim’s women in Bosnia. The project will contribute to fill the lack of social housing and old-age housing provision and offer to needy women a worthy perspective. "Engineers without borders Switzerland" (IngOG+) takes over the project management with the financial support of Lombardi as part of the project, coordinates the planning and operation of the building, accompanies the development of the residential community and organizes the financing. With this social commitment, Lombardi and also IngOG+ offer a "plus" for the quality of life and for the environment.